Laos’ growth rate drops !! 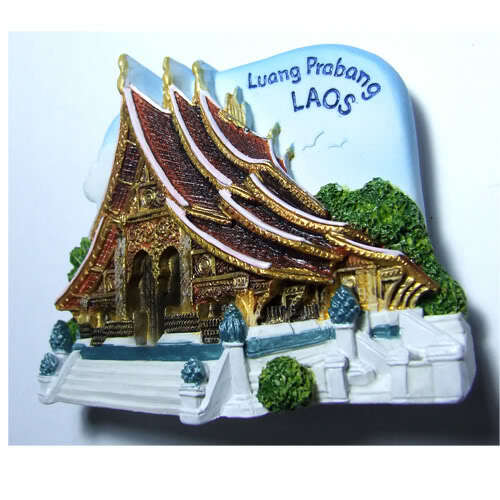 BANGKOK, 20 March 2012: Laos welcomed 2,700,000 visits in 2011 and estimated tourism revenue of US$406 million, according to a Tourism Development Department, Ministry of Information, Culture and Tourism’s announcement over the weekend. The growth rate declined from 25.13% to 8.34% when compared to 2010 and 2011. This year, the Tourism Development Department forecasts 2,900,241 tourists, a moderate growth of 6.49% with US$435.8 million, a 7.3% increase and an average length of stay at seven days. By 2015, it aims to reach 3,700,000 tourists and US$557 million with average stay increasing to nine days. Last year, Laos received 2,723,564 arrivals, of which, 1,786,221 tourists travelled with passports and 937,343 used border passes (89.46% Thais and the rest a mix of Vietnamese and Chinese). Of the border pass holders, 829,508 were day trips and 107,835 were overnight stays. Visitors from ASEAN were the largest group (2,191,224 or about 80.45%), an increase of 10% over 2010. Other countries in the Asia Pacific region accounted for 9.88% share (273,427), up 1.61%. Arrivals from Thailand, which was the top supplier (58% share), grew 4.14%. Key markets that showed substantial growth included Vietnam (+30.3%), Japan (+11.17%) and Korea (+27.08%). China, the third largest source market dropped 6.84%. Europe (6.67% share) supplied 181,539 tourists, marginally increasing by 1.91%. Several markets showed declines including key ones such as France (-0.99%), Germany (-5.77%) and UK (-4.43%). Visitors from the Americas (2.57% market share) reached 69,990, up 4%; 71.57% were from the US. Africa and Middle East were small suppliers representing just a 0.27% share (7,384, -2.47%). Monthly data showed arrivals dropped in the last quarter around -17%, -19% and -29% respectively. Floods in Thailand’s central provinces and Bangkok were blamed. From points of entry, the second Thai-Lao Friendship Bridge linking Savannakhet and Thailand’s Mukdahan province received 752,825 trips; mostly transit to central Vietnam. The second busiest point of entry was the first Thai-Lao Friendship Bridge linking Vientiane and Thailand’s Nongkhai province at 743,361 tripsfollowed by Dane Savanh checkpoint on the Lao- Vietnamese border, the gateway to Danang and Hue (190,518); Wattay Airport in Vientiane (179,242) and Huay Xay (138,763), crossing from Thailand’s Chaing Rai province to the R3A linked with Kunming China. Luang Prabang Airport welcomed 89,500 tourists. By destination, Vientiane received the most tourist arrivals (1,154,501) followed by Savannakhet (1,124,905); Vientiane Province (469,978); Champasak (393,921) and Luang Prabang (274,506). The province received the least visitors was Sekong in the southeast, 21,465 and Salavanh, the southeastern corner (21,985). In 2011, Laos earned US$406,184,338 million in revenue with average daily spending per person at US$50.5. Compared to other industries, tourism ranked second behind minerals (1,237 million). Regional tourists (passport and border pass holders from Thailand, Vietnam and China, 2,292,319 or 84.17% share), generated US$188,836,858 or US$37 per person per day. International tourists, tallied 431,245, generated US$217,347 million, an average of US$72 per person per day. In regional market, Thai tourists spent the highest at US$52 per day, while Chinese and Vietnamese spent US$30 per day. Average length of stay, was 4.5 days. Regional tourists stayed for three days, while international visitors stayed seven days. Overall occupancy was 57%. Hotels in Champasak and Luang Prabang enjoyed the highest occupancy rate at 68%. In Laos, there were 435 hotels and 1,491 guesthouses and resorts giving the country 32,960 rooms. Vientiane boasts the highest room supply of 10,948 followed by Vientiane Province (4,081),Champasak (3,250) and Luang Prabang (3,241).